Le Petit Ballon January and December Boxes Review and News! 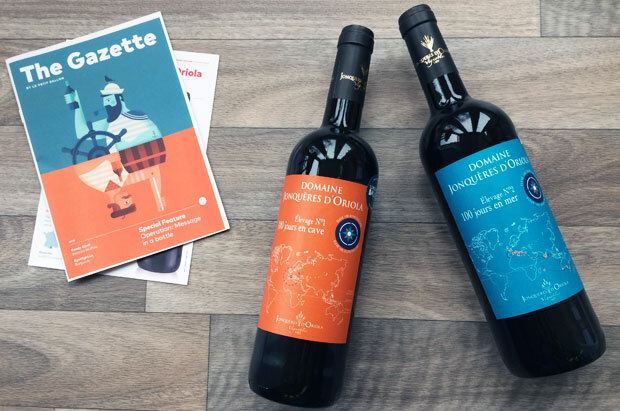 If you’re a regular reader, you know that my husband and I have enjoyed quite a few months of Le Petit Ballon wine subscription boxes. It’s just as exciting every month to receive a box of surprise wines to try, delivered conveniently to your home. You can find my previous reviews of Le Petit Ballon boxes here. Sadly, I’ve just heard the news that after 3 years Le Petit Ballon have decided to close the UK market to focus on their main market, which is in France. That means that as of the end of February, they’ll no longer be selling wine from their e-shop or sending our wine subscriptions to customers. 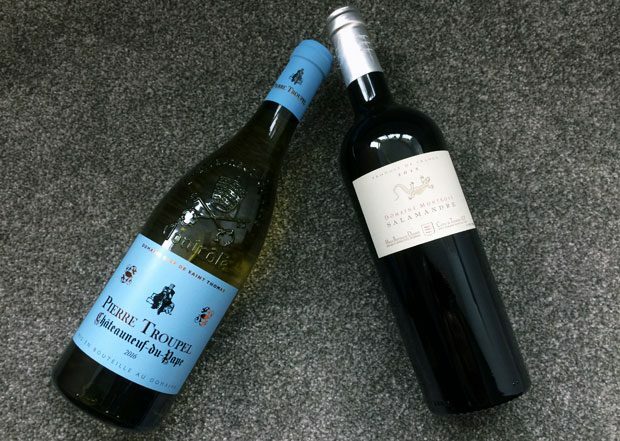 They will still be selling wine from the e-shop until 28th February 2019 with some good discounts nearer to the end of the month to clear out our stock so don’t miss your change to fill up your wine rack with some great quality wines at bargain prices. The January Box had a fun theme! Le Petit Ballon took the ancient myth that a bottle of wine that is kept on a boat tastes different to the same bottle of wine that spends it’s time on land. They decided to test that with one of their winemakers, and we split a batch of wines into two; sending half to sea for 100 days in a metal container, travelling the world, and the other half remained in the winemakers cellar for 100 days. The January box contained one of each wine to see if consumers could guess which was which. My husband is the wine sampler in the house at the moment, as I’m pregnant with our third baby and therefore not drinking any wine at the moment. He found it hard to guess which wine had been on land and which had been to sea but agreed that they did taste differently. Let’s start with the one that stayed behind, on land in a wine cellar for these 100 days. 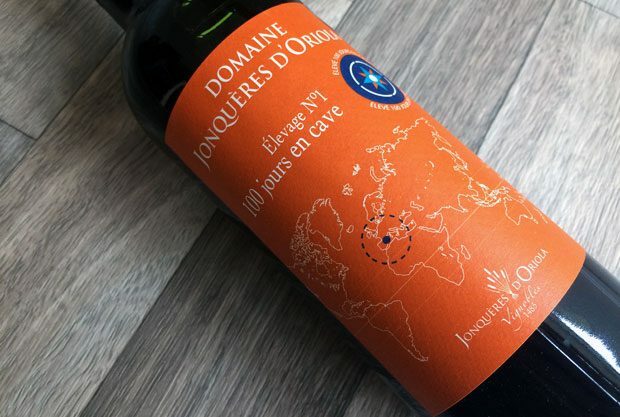 The Domaine Jonquères D’Oriola 100 Jours en Cave 2017 is a radiant and fruity red wine with dark flavours of black fruits and berries and a hint of liquorice and pepper. It’s a very fresh and tasty red wine that would work well with red meats, a French cheeseboard or rich Mediterranean dishes. So, how does that compare to the the one that’s been to sea? 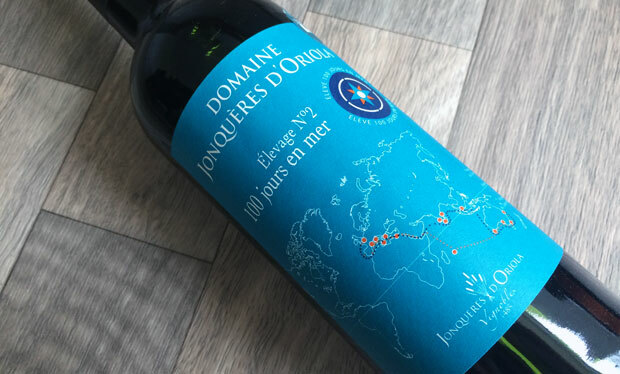 The Domaine Jonquères D’Oriola 100 Jours en Mer 2017 has travelled for 100 days at sea and the myth is that thanks to the cradling of the waves, the wine mellows and offers a taste frame that’s more open compared to the wine that stayed on land. The travelling seems to have done something as this wine has a softer and more subtle taste where the sweeter flavours of cherry and a hint of floral taste is more prominent. This wine would be well-paired with lighter dishes like grilled meat, vegetables, white fish or fresh cheese. Both these red wines were very tasty, according to my husband, but it’s really interesting to see how this experiment changed the flavour of the wine! We got our December box a bit late due to our house move but the theme of that box was Desserts which is a very good theme in general but especially for December and the festive Christmas season! This box contained a white wine and a red wine. 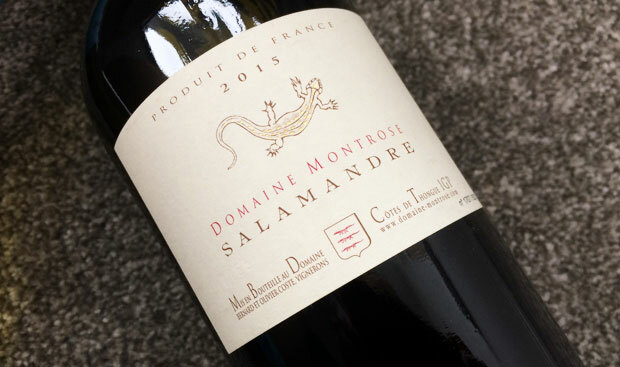 The red was a bottle of Domaine Montrose Salamandre 2015 which is a fruity, powerful and complex wine that goes beautifully with a flavoursome cheeseboard, tomato-based pasta dishes or red meat. It’s rich and quite bold with tastes of ripe black fruit and spice. A very good bottle of red wine! 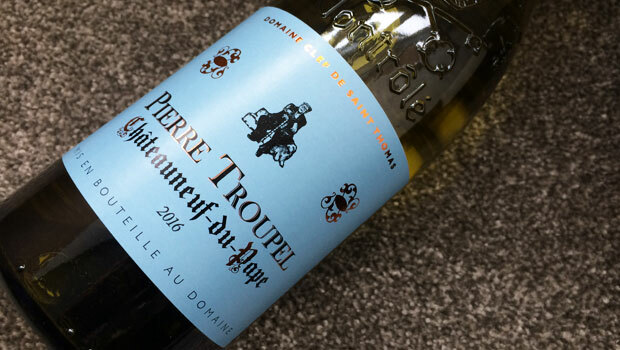 When looking at the bottle of Domaine Clef de St Thomas Pierre Troupel blanc 2016, I thought it would be quite a sweet white wine which is what my husband would usually go for but it’s actually a really fresh and a bit tart white wine (which is what I would usually choose). It’s got tastes of honey balanced out with white fruits and sharp citrus fruits and is a wine for people who like they’re whites fresh and crisp. It would work well with more summery dishes like shellfish, chicken or meals containing lots of lightly cooked vegetables. It’s been a pleasure working with Le Petit Ballon and reviewing their wines and I’m sad to hear that the UK market is closing. All the best to Le Petit Ballon and their focus on the French market! We were sent these boxes of wine for this review. As always, all my reviews are 100% honest and all thoughts and opinions are my own.